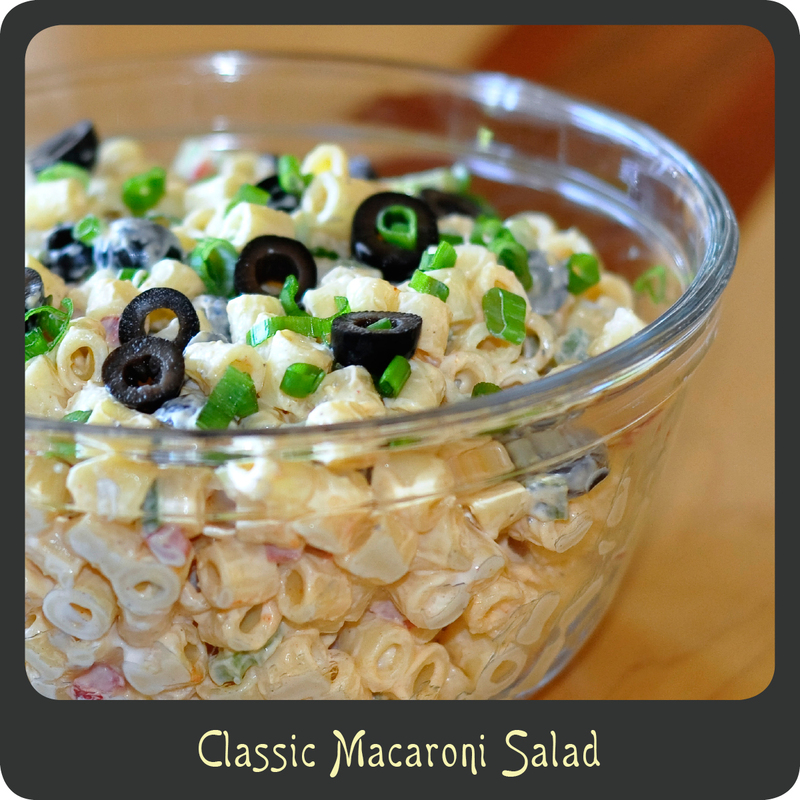 Who doesn’t love good ol’ fashioned macaroni salad? It is a staple at summer bbqs and is the ultimate in summertime comfort food. With 4th of July right around the corner I thought that this would be a fabulous recipe to share. This macaroni salad is so basic and easy but it is still out of this world. It has just the right amount of creaminess. There is something about the way the vinegar breaks down the mayonnaise that makes it just right. The veggies give the salad the perfect amount of crunch to complement the soft noodles. I could seriously eat this stuff every day. It’s one item that I don’t think I could ever get sick of. This is a recipe that will suit everyone at your next gathering. Be sure to try this before summer ends. I have a feeling you will be happy you did. Note: Be sure not to overcook your pasta or your salad will turn to complete mush. Once your pasta is cooked al dente, drain it in a colander and run cold water over the noodles to stop the cooking and cool it down quickly. When you add the dressing it may seem too saucy but don’t fret. The pasta will end up soaking up quite a bit of the moisture once it chills in the fridge. Another important reason you don’t want your pasta overcooked. If it seems dry the next day just stir in some additional mayonnaise. Combine mayonnaise, vinegar, mustard, sugar, salt, and pepper to make your creamy dressing. Cover and chill until ready to eat.